Ever since its introduction, the android operating system has only grown bigger and bolder. With its rise to becoming the ruling smartphone operating system, the number of apps in the Play Store have also flooded. However, with the growing number of apps in the play store, it has become very hard for a new user to decide which apps are essential for his phone and which are not. If you own a smartphone and you have never complained about low battery life then you probably don’t belong to this planet. Seriously doesn’t matter how large battery your phone comes with, it always proves to be insufficient. It’s because of the apps that keep running in the background even though you are not using them and your phone is in standby mode. Greenify is one of the best apps for android which aims to solve this problem. You can basically choose which apps you don’t like running in the background, and as soon as your phone’s light went black and it will automatically put those apps to sleep when you are not using your phone, saving a large chunk of power resulting in a much better battery life. The world today is more about media content than it ever was. Almost everybody I know has an addiction of taking selfies or otherwise have more than enough of photos of their friends, family or even of their pets. With Google photos, you can save all those photos online to access them from anywhere and get free of the risk of getting your precious photos deleted. Forgetting passwords is one of the biggest problems our generations faces every day. There are so many passwords you have to use every day that it feels like impossible to remember all of them. Well, worry no more. LastPass is a great password manager which is one of the top android apps available on play store. You can save all your passwords in the app and then literally forget about them while remembering the only password of the Last Pass app. Once you save all the passwords, it’s secured with a strong encryption. After saving the passwords LastPass works as an autofill suggestion tool and whenever you need to enter a password, you can just enter the last pass password and the app will do the rest for you. Losing your data is very very painful. You never know when any accident will happen with your android phone so you should always keep a backup of all your data in a secure place. However, backing up each and every type of file can be a very stressful process to do on regular basis and that’s where Go Backup steps in. It’s easy to use features and simple UI allows you to create a backup of almost every type of file in minutes which can be moved to external storage making you are of all the stress and tension of losing your precious data. Gmail is the world’s most used email service and if you have an email there are more than enough chances that it is in Gmail. Inbox by Gmail is a simple app which allows you to access all your mails wherever you are. It’s simple and effective UI, just like all the other google apps allows you to manage all your emails easily and with the help of Inbox by Gmail, you will never miss another important mail. Google keep is another great productivity app from google packed with multiple features and easy to use UI. its is a simple notes app which can be used as a note taker, to do list app, programmer reminder and much more. A great thing is that it automatically syncs the data and saves it online, that means whatever notes, text or image you have saved can be accessed from anywhere any time you like. As we said the world today is all about media content, and there more than enough times when you need to edit a photo. Whether you need to just touch up your photo before uploading it on Facebook, or you need to edit an image for your next office presentation, Pics art is the app for you. From basic options like adding a text or cropping your photo, to more advanced options such as curves, masks, clone/stamp, picks art consists everything you need to make your next awesome photo. its a best free apps for android phones with some additional features available through in-app purchase. It’s really annoying when you find a great facebook post or awesome blog post while surfing the web in the free time while traveling on the train or waiting for the bus when you have only a few free minutes and then you can’t find it ever again when you have a plethora of free time. The pocket is a best free app for android phones which solve this problem. It’s a free bookmark app which lets you bookmark any web page almost immediately, so you never have to suffer through the frustration of searching hours to find hat one web page again. Google drive is the third Google app mentioned in this list of best apps for android and believes us it belongs there. Swapping files from one device to another is a painful procedure and it’s really annoying when you can’t remember in which device you saved that one important file. With Google Drive, which is a best free app for android phones you can solve this problem by saving all the important files and access them from wherever you like. 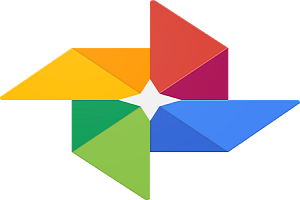 We have mentioned Drive and Google Photos separately since Google Photos allows you manage your photos easily and drive is best for all the other file types. And the final entry in this list of Top 10 must have android apps is XDA’s official app for android. XDA is basically an android forum where you can ask all your android related questions and get them answered by other android geeks. But that’s not all, XDA is a developer’s forum which means running through it regularly will not only help you in knowing more features of your android app but also help you in finding new and exciting best apps for android. This was our list of top ten must have android apps, which apps would you add in your list? Do let us know in the commencts box.